Are you building a new home? Does your kitchen needs a makeover? Or do you want to upgrade your bathroom? Then New Stone benchtops may be the ideal solution for you. At ABA STONE, we manufacture, supply and install stone benchtops and splashbacks in Melbourne and the eastern suburbs. Established in 2000, ABA Stone is a family-operated company that has specialized mainly in natural stones such as granite, marble, quartzite and travertine, as well as reconstituted stone brands like Caesar Stone, Quantum Quartz, Smart Stone, Stone Italian and Silestone. 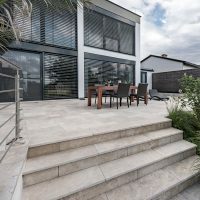 Being a leading stonemason in Melbourne, we have been offering premium quality stone products for your kitchen and bathroom for over 15 years. We have been offering kitchen benchtops, granite benchtops, marble benchtops, and several others. Having our stone benchtops in your kitchen and bathroom is an elegant finishing touch and carries a variety of benefits as our stone products are easy to clean and maintain. We mainly work with the aim to source and create beautiful timepieces, appreciated for years to come. Our reputation mainly lies in our excellent workmanship and commitment for customer satisfaction. Thus, why you need to worry about your requirements of benchtops and splashbacks for your kitchen and bathroom when we are just a call away. Even you can come and visit us, our team of experts are looking forward to working with you!